Advanced sleep phase syndrome is a circadian rhythm sleep disorder that affects the elderly as well as the post-menopausal women. ASPS, as its name suggest is a sleep disorder in which the sleep episodes are advanced in relation to the traditional bedtime. This disorder cannot be given any specific definition and its pathologic mainly depends on the symptoms of the patients. This circadian rhythm sleep disorder is completely different from DSPS because it shows an early sleep schedule and people usually wake up at time to go to work unlike DSPS. In ASPS is a chronic circadian rhythm disorder in which becomes circadian clock become shorter. How ASPS Affects Your Life? Advanced sleep phase syndrome is less common and mostly affects the elderly patients and people suffering with depression. Circadian rhythm shows some significant changes and the patient observes early onset of sleeping time that occurs between 6PM and 9PM. As circadian period onset is mostly observed a little early in evening, the patient also wake up early between 3AM and 5AM. These are signs of an irregular sleep-wake schedule and hampers regular daytime and evening activities. It can lead to many social consequences too as you sacrifice on a lot of evening activities after work. 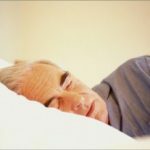 Advanced sleep phase syndrome affects about 1% of adults, however as discussed earlier it is much more significant in the elderly. This syndrome is common to both males and female and it also displays genetic correlation. It is a kind of sleep disorder in which person usually doesn’t complain about in its initial stage as mostly it seems normal tendency to sleep early due to tiredness. Sleeplessness is not the case here but circadian rhythm usually starts working preceding the normal evening hours. This becomes unhealthy when people undergo same schedule for months and henceforth it starts degrading their evening lifestyle and work. So having a prior knowledge is very essential so that you can start investigating on natural remedies at the first place to correct your circadian rhythm. How To Reset Circadian Rhythm To Normal? Advanced sleep phase syndrome can be treated with chronotherapy and also with the help of bright light therapy. Chronotherapy helps in making an advancement of bedtime. This is usually achieved with constant regular practice of increasing bedtime by 15 or 20 minutes every day. 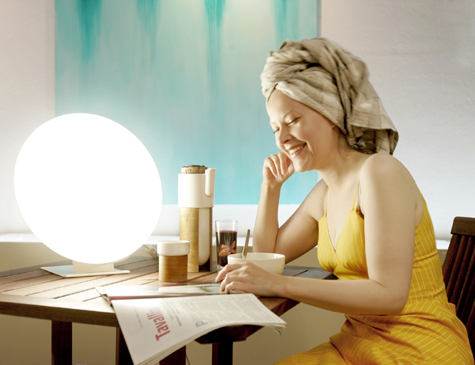 Bright light therapy can also be used here. Exposure of the bright light in the evening hours helps in controlling the secretion of melatonin. Hence, it also helps in the advancement of sleep timing. Together, these therapies can work miracle for the patient and can tune circadian rhythm to the normal hours. Resetting the circadian clock is one of the hard things to do but with regular and effective practice it can be corrected. 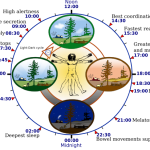 Circadian rhythm sleep disorder are yet complicated but their treatments are available. Advanced sleep disorder treatment depends from person to person. It is not necessary that every person suffering with it needs to undergo specific treatments. Following proper sleep hygiene can make you get rid of it too. But if you are not able to get results and see no improvement after trying some home remedies, make sure that you get an appointment with your doctor and discuss your sleeping habits and problems to get a proper treatment.